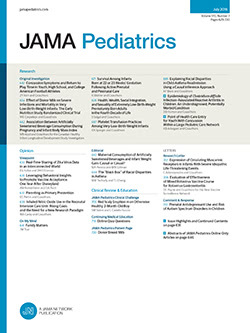 • To determine the frequency of biochemical vitamin E deficiency and of the clinical signs of the vitamin E deficiency neurologic syndrome in children with prolonged neonatal cholestatic disorders, we studied 46 children (aged 1 month to 17.0 years) with chronic forms of intrahepatic neonatal cholestasis and 47 children (aged 4 months to 8.0 years) with extrahepatic biliary atresia. Based on serum vitamin E concentrations and the ratios of serum vitamin E concentration to total serum lipid concentration, 64% of the intrahepatic and 77% of the extrahepatic cholestasis groups were vitamin E deficient. Prior to age 1 year, neurologic function was normal in all children. Between ages 1 and 3 years, neurologic abnormalities were present in approximately 50% of the vitamin E–deficient children; after age 3 years, neurologic abnormalities were present in all vitamin E–deficient children. Areflexia was the first abnormality to develop between ages 1 and 4 years; truncal and limb ataxia, peripheral neuropathy, and ophthalmoplegia developed between ages 3 and 6 years. Neurologic dysfunction progressed to a disabling combination of findings by ages 8 to 10 years in the majority of vitamin E–deficient children. Neurologic function was normal in the vitamin E–sufficient children. We conclude that vitamin E status should be evaluated in infants in whom cholestasis is diagnosed, and effective therapy should be initiated to prevent or treat vitamin E deficiency at an early age.